Harold Rhode is a Foreign Affairs Specialist in the Office of Net Assessment, Office of the Secretary of Defense. According to Jason Vest's September 2, 2002, article "The Men From JINSA and CSP," Harold Rhode and Andrew Marshall, from the Pentagon's Office of Net Assessment, "actively tinker with ways to re-engineer both the Iranian and Saudi Arabian governments." "The unofficial, off-site recruitment office for Feith and Rhode was the American Enterprise Institute, a right-wing think tank whose 12th-floor conference room in Washington is named for the dean of neoconservative defense strategists, the late Albert Wohlstetter, an influential RAND Corporation analyst and University of Chicago mathematician. 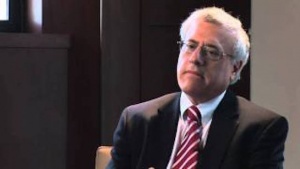 Headquartered at AEI is Richard Perle, Wohlstetter's prize protege, the godfather of the AEI-Defense Department nexus of neoconservatives who was chairman of the Pentagon's influential Defense Policy Board. Rhode, along with Michael Rubin, a former AEI staffer who is also now at the Pentagon, was a ubiquitous presence at AEI conferences on Iraq over the past two years, and the two Pentagon officials seemed almost to be serving as stage managers for the AEI events, often sitting in the front row and speaking in stage whispers to panelists and AEI officials." 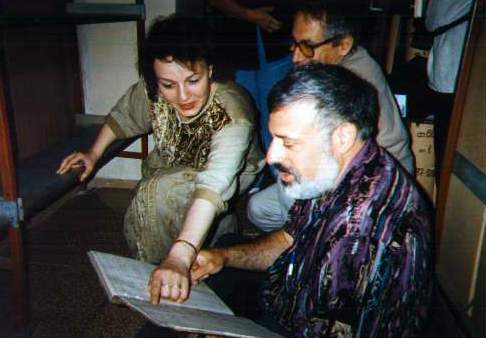 Photo: Galina Baranova and Harold Rhodes viewing records of Harold's family, Lithuania, July 1997. From Michael Tobin photo archives. 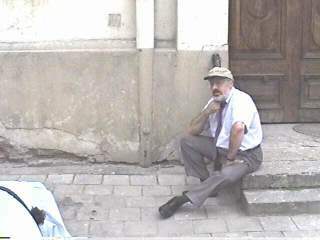 Photo: Harold Rhode in Lithuania, July 1997, From Michael Tobin photo archives. 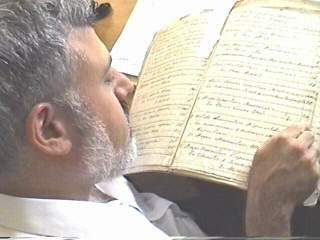 Photo: Harold Rhode in Lithuania, reading from the Vilkija 1834 Revision List, July 1997, From Michael Tobin photo archives. 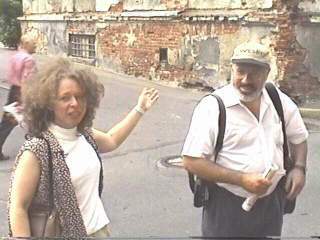 Photo: Regina Kopelovich & Harold Rhode outside former Jewish building in Kaunas, Lithuania, July 1997. From Michael Tobin photo archives. 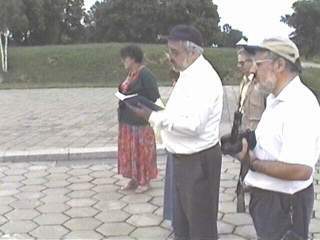 Photo: Rabbi Cohen & Harold Rhode saying Kaddish at the Fort Nine memorial in Kaunas, Lithuania, July 1997. From Michael Tobin photo archives. 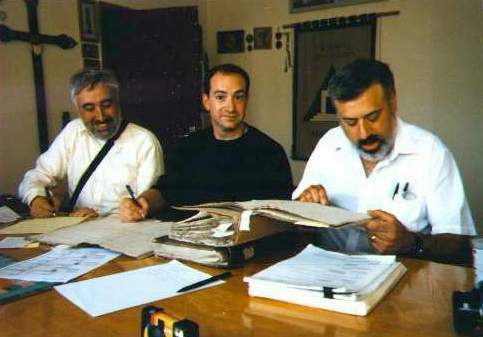 Rabbi Ed Cohen, Michael Tobin, and Harold Rhodes in Vilkija, Lithuania, July 1997, From Michael Tobin photo archives. 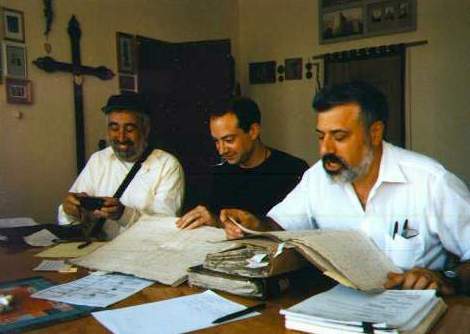 Rabbi Ed Cohen, Michael Tobin, and Harold Rhodes scanning Vilkija records in the Kaunas archives. 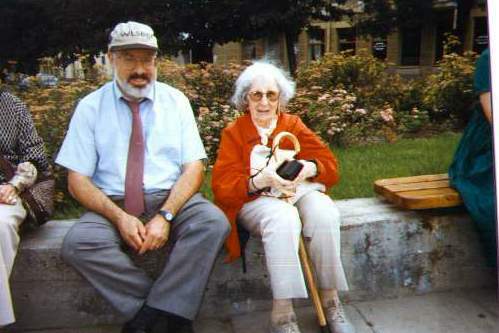 Photo: Harold Rhode & Libby taking a break in the Vilna Ghetto, Lithuania, July 1997. Robert Dreyfuss & Jason Vest. The Lie Factory, Mother Jones, January 26, 2004. Juan Cole. Pentagon/Israel Spying Case Expands: Fomenting a War on Iran, Informed Comment, August 29, 2004. Juan Cole. Harold Rhode and Bernard Lewis, Informed Comment, September 1, 2004. Mossad agent & arms dealer: Manucher Ghorbanifar, Political Friendster. This page was last modified on 22 December 2015, at 17:44.